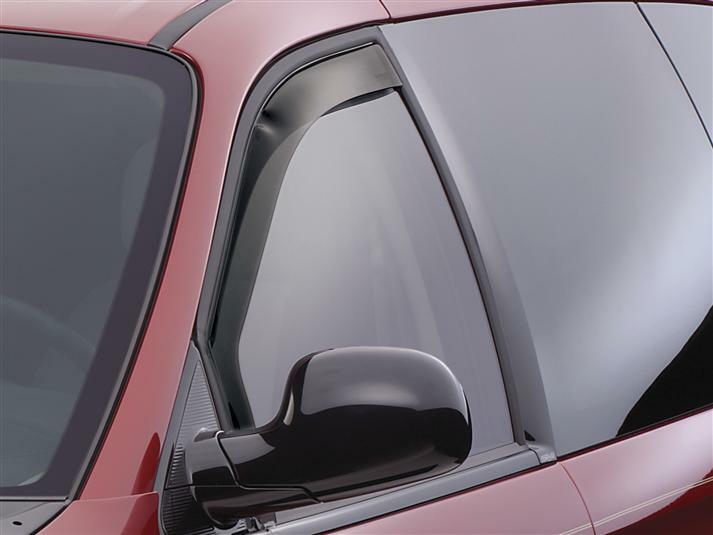 WeatherTech Side Window Deflectors are precision-machined to perfectly fit your 1996 Chrysler Town & Country Van's window channel. These low profile window deflectors help to reduce wind noise and allow interior heat to escape. Our light tinted Side Window Deflectors are the only deflectors in the world made with a D.O.T. (U.S. Department of Transportation) approved glazing material. Available in light and dark tint for most vehicles. Designed and Engineered in USA – Handcrafted in Germany. I had a problem with the rear window deflectors. I lost them on the interstate and I posted that here. I received an email stating that they would be replaced free of charge. I was totally amazed and very grateful. I should have them in a short time. Thank you very much Carrie for taking such good care of me. I have ordered things before for my other vehicles and never had a problem. I'm going to continue using Weather Tech they stand behind their product!!!! My next purchase will be a full set of the heavy duty floor mats. Very easy to install, read every detail before starting. The only regret I have is why did I wait so far to find this product. Cuts down wind moise and works great in the rain. No exterior tape used that can fail in a short time or carwash.